დაბადების თარიღი და ადგილი: 22.07.1966წ., ქ. თბილისი. ოჯახური მდგომარეობა: დაოჯახებული, ორი ვაჟი. 1995წ. – ფიზ.-მათ. მეცნ. კანდიდატი (აკადემიური დოქტორი). ტექნოლოგიური ფაკულტეტი – მიწვეული პროფესორი. 2007წ.-დან – დღემდე გეოდეზიისა და გეოფიზიკის საერთაშორისო გაერთიანების ეროვნული კომიტეტის მდივანი. Elizbarashvili, Sh., Varazanashvili, O. Sh., Tsereteli,N.S., Elizbarashvili, M. E., Elizbarashvili, E. Sh. 2012.Dangerous fogs on the territory of Georgia. J. Russian Meteorology and Hydrology, vol. 37, no. 2, pp. 106-111. Elizbarashvili, Sh., Varazanashvili, O. Sh., Tsereteli,N. S.,Elizbarashvili, M. E., Kaishauri, M. N. 2012.Icing of wires in mountain areas of Georgia. J. Russian Meteorology and Hydrology, vol. 37, no. 8, pp. 567-569. Alesandro Tibaldi ,Victor Alania; Fabio L Bonali; OniseEnukidze; Nino Tsereteli; Nino Kvavadze; OtarVarazanashvili. 2017. Active inversion tectonics, simple shear folding and back-thrusting at Rioni Basin, Georgi Volume 96, Pp35-53. Journal of Structural Geology. Zare, M., Amini, H., Yazdi, P., Sesetyan, K., Demircioglu, M.B.,Kalafat, D.,Erdik, M., Giardini, D., Khan, M.A., Tsereteli, 2017.Reply to “comment on ‘recent developments of the Middle East catalog’ Journal of Seismology. Volume 21, Issue 1, 1 January 2017, Pages 269-271. Victor Alania, Alexander Chabukiani, Rusudan Chagelishvili, Onise Enukidze, Kakha Gogrichiani, Alexander Razmadze and Nino Tsereteli. 2017. Growth structures, piggy- back basins and growth strata of Georgian part of Kura foreland fold and thrust belt: implication for Late Alpine kinematic evolutio In: Tectonic Evolution of the Eastern Black Sea and Caucasus (eds. Sosson M., Stephenson R., Adamia Sh.). Geological Society, London, Special Publications no. 428. (1), pp. 171-185 doi:10.1144/SP428.5. 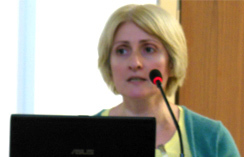 Tsereteli, N.,Varazanashvili, O., Arabidze, V., Mukhadze, T., Arevadze 2011.Seismic hazard and risk assessment for Tbilisi – new approaches. Stimulus for human and societal dynamics in the prevention of catastrophes. Ed. by A. Avagyan, D. L. Barry, W. G. Coldewey, D.W.G. Reimer. ISBN 978-1-60750-737-6.Published by IOS Press, vol. 80, pp. 109-130. Tsereteli, G. Tanircan, E. Safak, O. Varazanashvili, T. Chelidze, A. Gvencadze, N. Goguadze. 2012 Seismic Hazard Assessment for Southern Caucasus – Eastern Turkey Energy Corridors: The Example of Georgia. Correlation Between Human Factors and the Prevention of Disasters. Edited by David L. Barry, Wilhelm G. Coldewey, Dieter W.G. Reimer, Dmytro V. Rudakov. IOS Press. Volume 94, Pp. 96 -111. 2012. 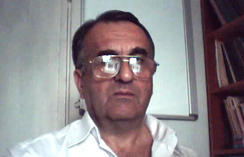 Nino Kvavadze, Nino Tsereteli, Konstantin Kvavadze Development of strong motion acceleration and VLF electromagnetic detectors network in Geogria. XVIII International Seminar-Workshop Direct and Inverse problems of electromagnetic and acoustic wave theory (DIPED-2013), Lvov, 2013, pp. 197-201. Nino Tsereteli, VakhtangArabidze, OtarVarazanashvili, TengizGugeshashvili, TeimurazMukhadze and Alexander Gvencadz 2014. Vulnerability Analysis and GIS Based Seismic Risk Assessment Georgia Case. Improving Disaster Resilience and Mitigation – IT Means and Tools. ISBN:NATO Science for Peace and Security Series C: Environmental Security 143, pp.307-321. Kvavadze, K., Kvavadze, N., Tsereteli, N. 2015. Geophisical and radio physical methods for observation of seismic activity in Georgi Proceedings of International Seminar/Workshop on Direct and Inverse Problems of Electromagnetic and Acoustic Wave Theory, DIPED 2015-November, 7324285, pp. 159-161. Chelidze, T., Tsereteli, N., Tsereteli, E., Kaldani, L., Dolidze, J., Varazanashvili, O., Svanadze, D., Gvencadze, A. Multiple Risk essessment for various natural hazards for Georgia. Optimization of disaster forecasting and prevention measures in the context of human and social dynamics. Published by IOS Press. ISBN 978-1-58603-948-6, ISSN. 1874-6276, pp. 11-32. Varazanashvili, O., Tsereteli, 2010.Seismic situation’s probability prediction in Great Caucasus during the period 2005-2025. Journal of Seismology & Earthquake Engineering. JSEE, v. 12, No 1&2, pp. 1-11. Varazanashvili, O., Tsereteli, N.,Adamia, Sh., Butikashvili, N., Mukhadze, 2008. Seismotectonic Features of the April 25, 2002 Tbilsi, Georgia, Earthquake (Ms=4.6). Journal of Georgian Geophysical Society (A). Neotectonics of the Javakheti Volcanic Highland (Central South Georgia). Proceedings of the Institute of Geology, New Series, V. 124, pp. 79-9. Tsereteli N.(2013) problems of natural and anthropogenic disasters in Georgia. Journal of Georgian Geophysical Society (13A). Э. Элизбарашвили, А. Амиранашвили, О. Варазанашвили, Н. Церетели.2014. N.Tsereteli. 2015. Simulation of point explosion’s seismic energy by means of the frequency spectrum of body waves. Journal of the georgian geophysical society 17 (a). А.Г.Амиранашвили, О.Ш.Варазанашвили, М.Г.Пипия, Н.С.Церетели, Э.Элизбарашвили, М.Элизбарашвили.2014.Некоторые данные о градобитиях в Восточной Грузии и экономическом ущербе от них. Varazanashvili, O., Tsereteli, N., Tsereteli, 2011.Historical earthquakes in Georgia (up to1900): source analysis and catalogue compilation. Monograph, Pub. Hause MVP, Tbilisi, 81p. Tsereteli, N., Varazanashvili, O., Chelidze, T., Gvencadze, ,Arabidze, V., Mukhadze, T.,Arevadze, N., Chachava, N. 2010.SeismicriskassessmentforTbilisi. Monograph, SDC, GNCDR, UNDP, Tbilisi, 44 p.
2016-2018 წწ. სეისმური საშიშროების შეფასება საქართველოსთვის და სეისმური რისკის – ქალაქ მუზეუმ მცხეთისთვის თანამედროვე მიდგომებით, SRNSF-216758 -ხელმძღვანელი. 2014-2017წწ საერტაშორისო კვლევის ჯგუფი-დედამიწის მეცნიერებები სამხრეთ კავკასიაში: სეისმური რისკი, ბუნებრივი წიაღისეული SRNSF – ძირითადი მონაწილე. 2011-2013წწ. მცირე კავკასიონის მთათა სისტემების გეოდინამიკური ევოლუცია: ბუნებრიცი რესურსები, აქტიური ტექტონიკა და რისკები (საქართველოს ნაწილი). GNSF- IRG. სამხრეთ კავკასიის დედამიწის მეცნიერებები -ძირითადი მონაწილე. 2010-2013 წწ. მიწისძვრის მოდელი ახლო აღმოსავლეთ რეგიონისათვის (EMME), WP1, WP6, JTI – ძირითადი მონაწილე. 2010-2013 წწ. მიწისძვრის მოდელი ახლო აღმოსავლეთ რეგიონისათვის (EMME), WP3, JTI – ხელმძღვანელი. 2006-2009 წწ. ბუნებრივი კატასტროფების მრავლობითი რისკის შემცირება – საქართველოს განვითარების პოზიტიური ფაქტორი, GNSF/ST06/5-068 – ძირითადი მონაწილე. 2007-2009 წწ. დაძაბულობებთან დაკავშირებული გეოსაშიშროებები სამხრეთ კავკასიაში, INTAS-South Caucasus 9130 – ხელმძღვანელი.